A Union soldier from the Civil War, Private Patrick Murphy, was one of the many people pardoned by President Abraham Lincoln in the aftermath of the war between the states, but Patrick Murphy’s pardon was different. In documents uncovered in the National Archives by amateur historians Thomas P. and Beverly Lowry, Murphy’s pardon date was April 14, 1865, the very date Lincoln was assassinated. As it turns out, the so-called find of a lifetime wasn’t a find at all, but a forgery. 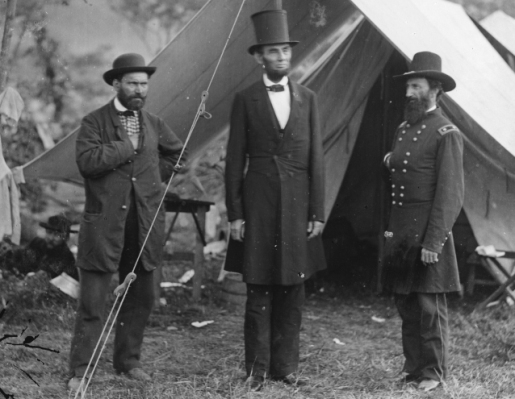 National Archives officials have discovered that Thomas Lowry altered the date on a Lincoln pardon from April 14, 1864 to April 14, 1865 to make it more noteworthy. For his part, Lowry and wife, who moved to Woodbridge in Prince William County, Virginia, specifically to comb through the National Archives and research the Civil War in their retirement years, deny having changed the document. Lowry, who confessed and was banned from the National Archives, is now recanting that confession, saying he was coerced by federal agents into signing a fraudulent document. It’s funny; the fraudster says he was forced into signing a fraudulent document when it was his forgery that got him into trouble in the first place. Still, it must have been a good forgery; the document was discovered 13 years after the fact and it took a yearlong investigation to connect Lowry to the defaced document.